In the small settlement of Biddista, isolated from the rest of Mainland Island of the Shetlands, an art opening is taking place. Detective Jimmy Perez is surprised by how few people attend. It is summertime, the white nights, and lots of tourists are on the island. His friend Fran is showing her work, but so is the famous artist Bella Sinclair. Further, Bella’s even more famous nephew, Roddy Sinclair, is performing. In the gallery, there is a small scene. A man falls to his knees and begins weeping. When Jimmy takes him to the kitchen, he says he can’t remember anything. He has no identifying information on him. When Jimmy leaves the room to see if he brought a bag, he disappears. The next morning, Kenny Thomson, a nearby crofter, finds the body of a man hanging in his fish house. Bizarrely, the body is wearing a mask. Jimmy soon identifies the body as the man he spoke to the night before. No one knows who he is, however. Jimmy discovers that a masked man was handing out flyers in Lerwick stating that the gallery show was cancelled, thus explaining the low attendance. Why would this man have pulled such a malicious trick on Fran and Bella? Both women claim not to recognize him. In the meantime, Inspector Taylor is coming from the mainland to take over the case. Almost immediately, I felt that this case was connected to the disappearance long ago of Kenny’s brother Laurence. I wondered, for example, if the dead man could be Laurence returned. Rumor had it that Bella rejected him all those years back, and that’s why he left. 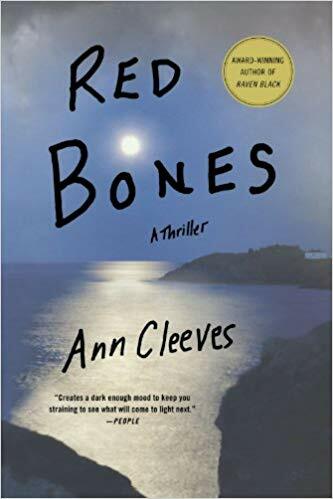 But Cleeves completely had me fooled about the identity of the murderer. This is a really clever mystery, and I enjoyed it. To our delight, our local PBS station airs a lot of British and Australian mysteries. Even though most of them are older, we have not seen them before, so we are happy. 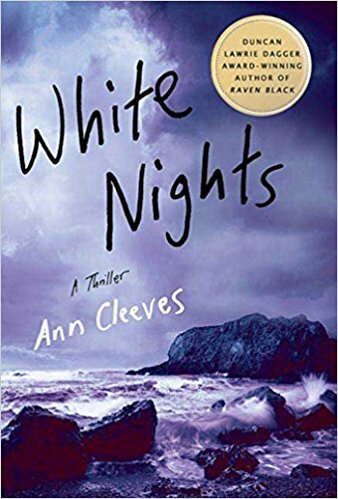 Two series we have begun watching (and getting older ones from Netflix) are Vera and Shetland, both from the novels of Ann Cleeves. So, I looked for the first book in each series. 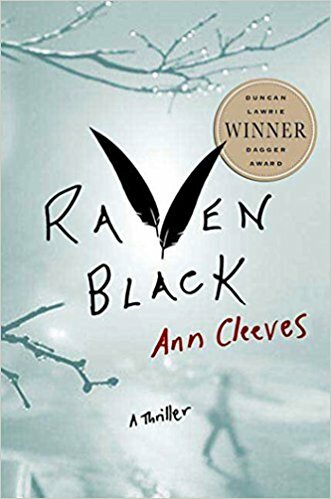 Raven Black is the first novel of the series set in the Shetland Islands. Magnus Tait is an old man hoping for visitors on Hogmanny. He hasn’t had any for years, though, ever since he was suspected in the disappearance of an 11-year-old girl years ago. But this year is different. Two drunken teenage girls, Catherine and Sally, stop by on their way home from a party. The next day, Magnus sees Catherine on the bus, and she walks home with him. The day after, her body is found lying in a field by a neighbor. She has been strangled with her own scarf. Immediately, the islanders, even many of the police, assume Magnus killed her. Inspector Jimmy Perez isn’t so sure there are similarities in the cases, but he’s not in charge. Instead, it’s Inspector Taylor, over from the mainland. Who could have killed Catherine? Was it Mr. Scott, her teacher, who invited her over after school to discuss extracurricular reading? Robert Isbister, a grown man that Sally likes, has been asking questions about Catherine. She was seen talking to Duncan Hunter, an ex-school friend of Perez’s, at one of his wild parties. Or was it Magnus? 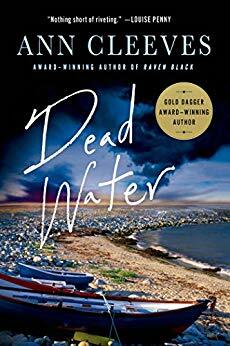 This novel is absorbing, although I thought it could have been more atmospheric, given the setting. I liked Jimmy Perez, though, and I never guessed the murderer or the motive. (I missed the first episode of this series on TV, which was this one.) That, I have to tell you, doesn’t happen often. As an aside, I love the theme music for Shetland, and just rereading this review before publication has brought it to mind.